When these three elements join together, a beautiful result is virtually guaranteed. Because Mosaic has established partnerships with well-known suppliers and manufacturers across the globe, the company is able to buy directly from dozens of worldwide manufacturers that offer top-quality, high-end products. The company’s partners provide top-of-the-line products and service allowing Mosaic to offer something for every customer in the Design Center. Semi-custom and custom cabinetry (available through select locations only) can truly create the space of your dreams. Mosaic understands that when it comes to this type of investment, quality is paramount. 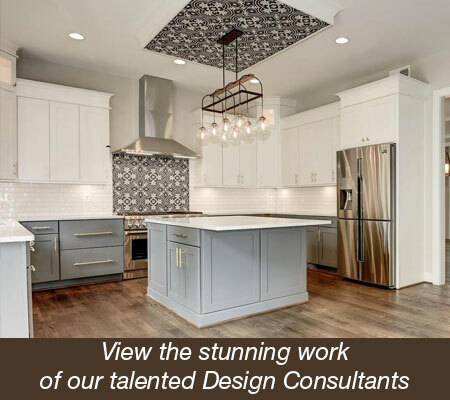 Our partnerships with Fieldstone, Teddwood and Wellborn cabinetry were specifically chosen to promote only the highest quality US manufactured product. Mosaic has partnered with quality plumbing manufacturers that produce material in Poland, Milwaukee, California and China. These plumbing manufacturers are employing the latest and greatest in cutting edge technology and design. From full shower spa systems to simple lavatory faucets, Mosaic offers an incredible variety in a myriad of finishes. Offering over seven different manufacturers of lighting, Mosaic has hand selected products that fit our clients tastes and budgets. Mosaic is proud to join forces with lighting manufacturers that produce both here in the US, as well as overseas. Ceramic and porcelain tiles offer a classic look for many applications, and are popular in kitchen and bathroom projects. Composed of clay, these tiles are strong and resist moisture damage and stains. Easy cleaning and installation are major benefits of these staples of tile work, and glazing offers added protection for indoor or outdoor use. In addition, the company offers a range of natural stone tiles that vary in material and durability. Mosaic imports several types of stone, each in different colors and textures. Marble, Limestone, Travertine, Slate and Quartzite stones are available brushed, honed or polished and add a unique, natural touch to any project. The company has many glass options as well. Available in cut, cast, layered and fused formats, these tiles range in color, texture and translucency, too. While Mosaic does not install specifically, the team does work with a network of skilled contractors and tradesman who have the experience and qualifications to implement the designs created by the customer and Mosaic’s design consultants. The company acknowledges that relationships with customers and contractors alike are key, as end-user satisfaction is the company’s priority. 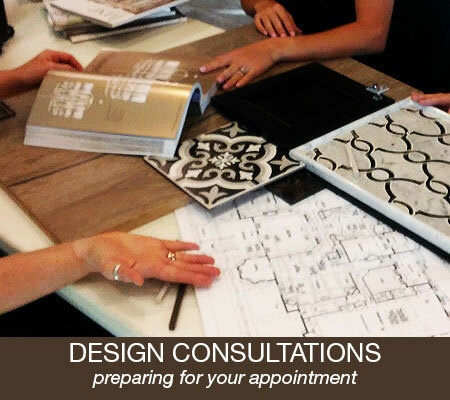 Mosaic value’s each client’s approval seriously. Our Doswell, Va., Central Servicing Center stocks more than 7 million square feet of material, to allow for next-day delivery for most tiles, stones, luxury vinyl planks and vanities. This, in turn, makes it easier for both contractors and customers to see a finished project in house. Mosaic is focused on offering top-level service, as well as a pleasant, professional experience in the showroom, in the warehouse and during installation. As a singular source, providing an outstanding selection of products coupled with top-notch customer service, Mosaic has found success for over 40 years. However, Mosaic does not believe in taking success for granted. By always thinking of the customer and what trends are on the horizon, the team at Mosaic is constantly renovating and updating design centers, investing in both service and technology to offer cutting-edge design and products. The company’s new innovations offer more efficient approaches to business, and customers receive the benefits as well. These upgrades are a work in progress. Mosaic continues to make improvements that will appeal to a broad clientele, whether in an urban D.C. office or a country kitchen in North Carolina. Mosaic offers a distinctive setting for customers as a result of the team’s desire to provide an experience that strives to offer memorable service and an array of products to every client every day: the Mosaic Experience.